Dropsy is ranked in the 83rd percentile of games scored on OpenCritic. It's entirely possible that you'll respond much more kindly to Dropsy than I have. I wish it had been easier, with a second layer of clues accessible beneath the basic pictograph conversations perhaps. I also wish I'd felt more of a connection with Dropsy himself and I have no doubt that some people will. Games like Dropsy remind us of the power of small actions and simple pleasures. It reminds us that art doesn’t have to be challenging or complex to be meaningful, and that positive emotions are not as worthless as the world wants you to believe. It reminds us that it is OK to feel happy when things are going bad, and that there are still people who truly want to make the world a better place for everyone. It reminds us that it is easy to hate people and a lot harder to love them, and it does so with such earnestness that it is clear the game recognizes the difficulty of what it’s asking but believes it important enough to do so all the same. Dropsy is a game that is powerfully loving in a way most media only plays at, and I cannot overstate how rare and significant that is. This levity, this world, and these people are going to be with me forever. If you've ever complained about there being too much violence in gaming, or that games are all the same, and you don't play this... I hope somebody hugs you. I judged Dropsy thinking it was going to be a kid's game with little no challenge, randomly hugging people, and grow tiring. Instead I got a really interesting yet odd and colorful world to explore, a huge smile on my face, and a game that ultimately made me happy to see Dropsy love so many. I won't soon forget you Dropsy. Hugs for everyone! Though the premise of an adventure game about a lovable clown is not enough to win me over on the surface, it's the complex tale of a cynical and unforgiving world the player is expected to change through loving and non-violent interaction that ultimately seals the deal. Adding in the wonderful presentation and dynamic soundtrack, this becomes an adventure game that should not be missed. It is a must. Dropsy is somewhat strange, utterly beautiful, and pretty good point and click adventure game. Focusing more on visual cues for what the characters desire, it's a game that leaves some of the story up to your interpretation. Even before any consideration of steam promotional discounts, it'd be a gross mistake to say that Dropsy isn't worth the price of admission. For fans of the point and click adventure genre, aficionados of retro pixel artwork, or anyone looking to get lost in a kind of feel good world that warms you when it's not frightening you, this is a steal. Come on, give the creepy clown a hug. Dropsy is a bit of an oddball game, so I wouldn't bet on it having wide appeal, but those who love it will really love it. It's a point-and-click title without written hints, making it inherently challenging, but because the quests involve helping people, solving puzzles feels that much more rewarding. It's such a heartwarming game, it's easy to forget that the protagonist is an accidentally murderous clown. Dropsy manages to subvert your expectations, and has managed to create a main character you can feel for, even though he doesn't speak. Dropsy just wants to make people happy in a world that is filled with problems, and by helping them he can achieve his goal. There are some design issues though that count against the game, and some may find the pixel art graphics unappealing, but as an overall experience Dropsy is something that point and click adventure fans should play. Ultimately, Dropsy delivers an entirely unique and engaging experience. Well made from start to finish, and filled with twists and perils, it's perhaps the best fusion of terrifying horror and heart-melting joy that I've ever seen. Dropsy is a stand-out in the point-and-click genre and a resurgence of classic mechanics. A simultaneously heart-warming and heart-wrenching experience, this game is able to convey emotion unlike any game I have played in a long while. 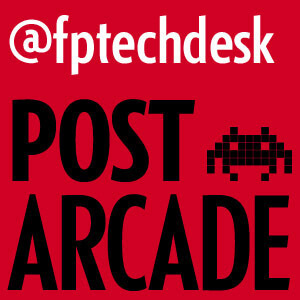 If you miss the old days, before games of this ilk got streamlined and simplified, give this a whirl before you read too much about it. It's well worth the small outlay. Dropsy's resolve to bring back the old school point n' clicker is a success, though it's perhaps a bit too successful, given the overreaching ambiguity in certain areas. Even in spite of its tendency to obstruct the player, it's a beautiful, bewildering, unforgettable game of hugs, love, and hollowing sadness. It's bizarre, thought-provoking, and challenging enough to keep you invested for hours. Dropsy is a game that warmed my hardened, cynical heart. Like the titular clown himself, the game smashes an amiable joviality together with an unabashed dementia. 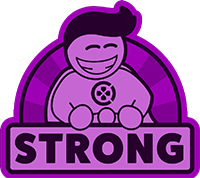 Making people happy is such a rare goal in games, and to have one excel at the notion and the motivation for doing so is a doubly rare joy, although glaring missteps do keep it out of the center ring of adventure games. Dropsy's a pretty good point-and-click, but more importantly it's clever and weird. 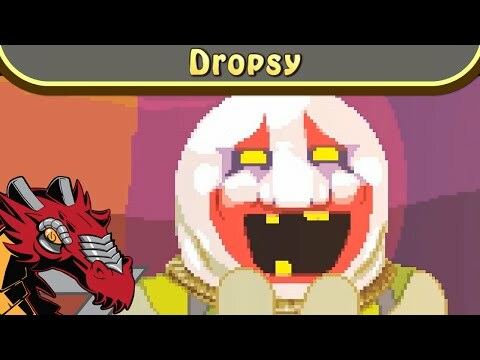 Those of you looking for something different should welcome Dropsy with open arms. If you're an adventure fan and not a terminal coulrophobe Dropsy is well worth picking up, just because it tries to do something different. No dialogue, occasionally terrifying but otherwise heart-tugging story, doable puzzles and a decent-sized open world with day-night cycles, starring a creepy clown and his animal friends. It stutters a bit with execution by throwing you in to the open world too fast with no easy way to get around or changing times easily, and the lack of adventure game staples like a scene skip or hint system do rankle. Nevertheless Dropsy is an ambitious game and that should be savoured, and most definitely tried. Just try not to have nightmares. When Dropsy's quest becomes grander, based around a larger conspiracy, some of this charm wears off. As the game becomes more "normal," Dropsy's original challenge of endearing himself to those he repulses fades, and the puzzles start seeming a little tedious. So many are based around a difficult to manage day/night cycle, and many others around the talents of collectible animals. But before things escalate, when it's just the story of a clown without a circus, the sentiment warms you like a hug. Dropsy is a genuine and somber adventure about a creepy clown that exceeds its quirky premise in the most meaningful way. There is a tremendous amount to love about Dropsy (both the game and oddball protagonist). Beyond the positive gameplay focus of bringing joy to everyone around you, the visuals, characters and variety of landscapes provide one heck of an experience.